There are a variety of ways a colon may be used in a sentence, such as with a list or with a quotation. 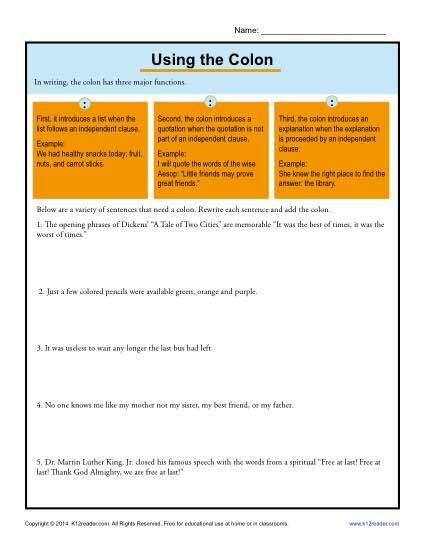 This worksheet features different sentences for your student to rewrite using a colon. Use it with Common Core Standards for 9tth and 10th grade Language or with other students as appropriate.